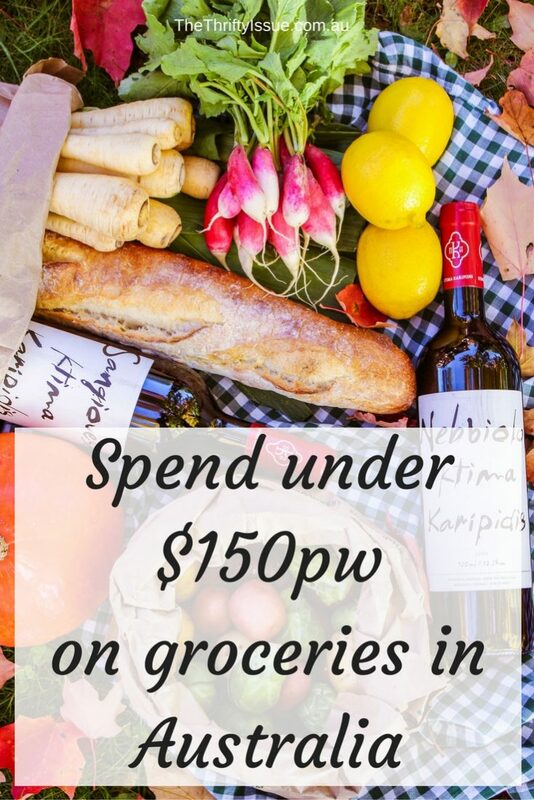 How to keep your groceries under $150 a week? This post was originally written in 2016 when we were a family of 4. Updated June 2018. A recent article on news.com.au states I spend $50 a week, which I do now because I get HelloFresh for free every week. Without that it would be $150. According to recent Census data, the average Australian family has 2 kids. In our house we now have 1 adult and 2 kids, though the below is written from the perspective of when we were 2 adults and 2 kids. We have gluten allergies and eat mainly fresh produce, limited meat and reduced sugar. My daughters are 9 and 10, we live in a tiny two bedroom apartment right in the middle Melbourne. We walk everywhere and do no have the space to buy and store things in bulk. Previously, as a family of 4 alcohol, soft drink and similar were included. Now, I don’t drink those things but have included tips for that. This budget also included toiletries. If you’d like to get discounts on groceries, clothing, travel and more plus a list of companies which offer bonuses and cash back check out The Thrifty Issue 2019 Big Book Of Discounts for only $4.95! Previously, I kept our groceries lower by using my cookbook, 26 Ingredients which has over 100 recipes with simply 26 ingredients in your pantry. From gourmet breakfasts to delicious desserts. You can get it for $4.95 here. I still use many ideas from this book, especially for leftovers, however, we eat a more varied, in season diet. Businesses often offer samples, discounts and free offers. HelloFresh has $50 off your first box here, Marley Spoon often has discounts such as $35 off your first box and we share any freebies we come across in The Thrifty Issue Facebook group. Cheese, pads, pens, toothpaste are a few which I have seen lately. Check out this post for loads of free and super cheap food ideas. 2.) Menu plan and plan for takeaway! Not having a plan is where many people come unstuck. It doesn’t need to be elaborate or take a lot of time. Humans are creatures of habit and we tend to move towards meals we like and have similar meals each week anyway. You don’t need 7 new dishes each week! Pick one new meal if you want to, but mainly stick to family favourites which are in season. We have a simple menu plan that is repeated each week. The only variances are the produce in season and meat that is reduced or on sale. Our meal plan does change a bit each week and is different now compared to when there were 4 of us. Without a man in the house, I plan more vegetarian meals. However, previously, I still kept it under $150 including alcohol and lots of protein. Here are the sorts of things we eat. Kids can choose between eggs in a variety of ways including scrambled, omelettes, frittatas and boiled with spinach, mushrooms and other vegetables. Or gluten-free cereal with milk when purchased on sale. Occasionally they can have toast and fruit or I might back breakfast muffins. My kids’ school is quite diverse so leftovers from dinner, curries, soups, salmon, seaweed and various meals aren’t uncommon. This makes it super easy for them to pack their lunches. They have thermoses for hot food such as leftover dinner and take a selection of salad, a wrap or similar, vegetable sticks such as carrot and cucumber, hummus, fruit, puffed corn, crackers (bought on sale) or corn chips. Sometimes they will have something I baked. Mostly, it is fresh produce which they prefer. For myself, I often make a large batch of soup or stirfry at the start of the week, portion it and have it each day. Boring, but effective. When I was partnered, it was for both of us. This used to be either chilli, roast, Mexican, cayenne pepper stir-fry, pumpkin soup (for my kids), dhal, cauliflower fried rice or platters with eggs, cauliflower fritters, vegetables and nuts. Now we have a variety. If we get HelloFresh free they have salmon for at least one meal of the week. Stirfry, vegetables and meat, curries and risotto are a few favourites. We rarely eat dessert, instead, we have one day a week called Friday Family Fun Night. This night they get dessert and treats plus we stay up to watch a movie together. It has drastically reduced the request for treats, plus we feel better for it. For starters, many people eat more snacks than needed! We include vegetable sticks with hummus, eggs, nuts, fruit and similar for snacks if necessary at home. My eldest also loves seaweed. Most of us have nights where we don’t feel like cooking or are simply craving a specific takeaway option. For those nights there are a few things you can do. Plan ahead and cook meals you like to have in the freezer such as pizza or butter chicken. 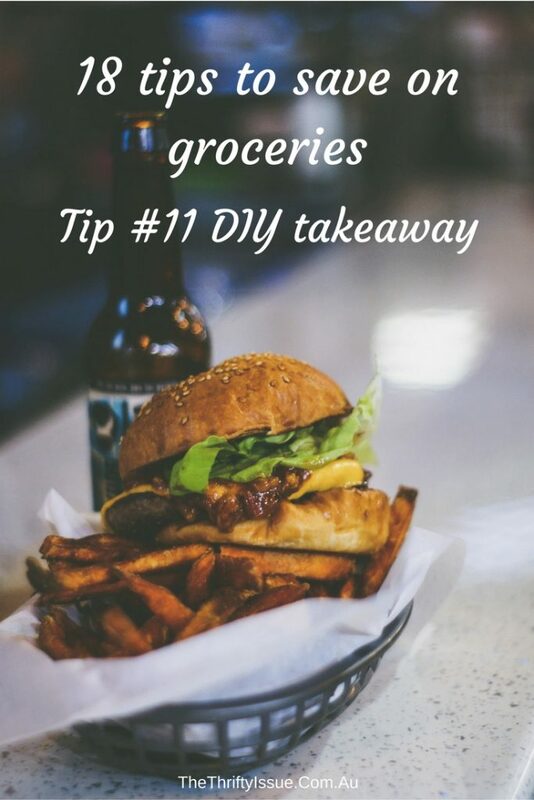 Budget it in and allow yourself takeaway a few nights a month then look for coupons. For example, you can get $10 off with Ubereats using the code eats-kyliet591ue. By shopping with a list we know exactly what we need and can cross it off as we shop. Although now, I mostly shop online and use either free delivery or have purchased an annual delivery pass which means delivery is under $2 a week anyway. This enables us to add it up as we go to ensure we are adhering to the budget. I can budget for stocking up on things we use a lot and with delivery, I don’t have to fit it in a car (great since I now live without one) or carry it up to my apartment! Impulse buys are reduced and I don’t tend to end up with too many of an item we already have because I couldn’t remember if we had it or not. Having the same meals each week makes it easy to do our shopping since the list doesn’t change much. It’s essentially in-season fruit and vegetables, on sale or reduced meat, eggs, cereal, milk, gluten free bread or wraps sometimes gluten-free pasta and we add cleaning supplies, spices or other things as necessary when we run out. Shopping at our local market means we know what is in season and shop accordingly. Boxes of produce can often be purchased for $5 and we rarely pay above $2 a kilo for anything. Where I am I have access to a few local farmers markets plus the big Queen Victoria Markets. I don’t buy the boxes as they often have bruised or less than stellar fruit and vegetables. However, I sometimes negotiate a discount if buying a few things or choosing my own full box. Less than stellar produce can still be bought and used. I did this a lot in my previous marriage using techniques from 26 Ingredients. Boxes of produce can become soups, stews or sauces such as tomato sauce and apricot jam. We head to the market with our list, do one lap to check prices and quality quickly then go to the stalls with the best options for the things we eat. Before we moved to our current location the local markets weren’t any cheaper than the supermarket. 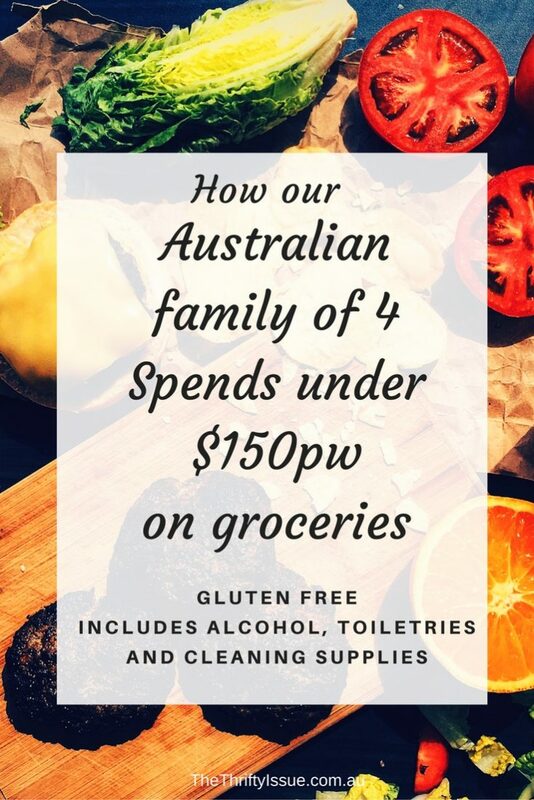 I split our spending on fresh produce between Aldi and the other supermarkets buying whatever was on special and utilising the ‘odd bunch’ options most supermarkets have. It was nowhere near as cheap as the markets here are, it was cheaper than the regular price in the supermarkets, though. Check the use-by dates on anything you buy and use your judgement. The markets here slash prices right before close, as do many butchers meaning you can get meat 50% off all the time. Supermarkets have reduced to clear sections and sites such as Catch have bulk clearance items. Most items, such as meat and bread can be frozen for future use. If you think you don’t have space in your freezer, check out this post with 5 tips to fit more in your freezer. Basically, I don’t buy things full price usually. I aim to stock up in sales or when things are reduced to get me through until the next sale. They happen in regular cycles of 4 to 8 weeks usually and once you learn them, it’s easy! I used to make my own bread, sauces, jam, cakes, biscuits, stock and anything else I could make from scratch. I used the recipes in 26 Ingredients (eBook only $4.95). Now, our lifestyle and eating habits have changed drastically, it no longer suits. The book has over 100 recipes to make from a pantry of 26 Ingredients from gourmet breakfasts to delicious desserts, sauces etc. Tips on how to turn leftovers into a new meal and how to make the most of the food you have. Now, I still cook our main meals and any baked goods from scratch. I make my own seasonings to our taste as well. For example, in a small jar, I add 1/4 cup paprika, 2 tsp cayenne pepper, 1 tsp garlic powder and a little onion powder for a Mexican seasoning. We don’t eat bread, cakes, biscuits, pancakes or anything like that anymore unless it is Friday Family Fun Night. On the rare occasion we do, I make my own from flour, sugar, milk and eggs usually. Plus for cakes or muffins, I usually add sad fruit e.g bananas which are going off. Weigh up the cost based on how long it will take you to do something, how much electricity you need and the cost of ingredients to decide if making things yourself is the best option. For us, cooking all our own meals, making our own seasonings and choosing not to have a lot of baked goods or preserves means we have a good balance of time and money used for food preparation. While I did say I don’t buy in bulk, there are some things I do such as peanut butter when it’s on sale. We like a specific one and my youngest loves it. As a renter building in extra storage isn’t an option but there are ways to be smart with storage. For example, our lounge has a storage compartment, there is space under our beds and we live a minimalist lifestyle so don’t feel crowded with stuff. Do a price comparison of the bulk price vs regular size price. Most of the time it is cheaper to buy in bulk, not always though. Buy enough to last until the next sale or if it is always a great price when buying larger amounts, be sure to only buy the amount you will use before it goes off. After we have done the groceries I spend some time preparing as much as I can for the week ahead. I throw a pot of chilli onto the stove which makes enough for a few meals while cooking something else in the slow cooker. I chop up everything we use regularly and store it in containers in the fridge. This means most nights all I need to do is defrost the meal or throw the pre-chopped vegetables in with the meat to make our meal. Dhal can cook in the slow cooker underneath a roast chicken. All of it can be split up and frozen in portions which suit us. The chicken will be eaten as a roast that night then all the meat stripped off the bones and divided into containers for use during the week in curries or in a Mexican meal (usually lettuce, meat, fried onion, zucchini and capsicum topped with salsa or guacamole). In a couple of hours, I have multiple meals prepared and most of the preparation work done for the rest of the week. It stops us getting takeaway, enables us to know what we are eating every night and prevents wastage. When I say I strip the meat off the roast, I mean every single little piece is used. The roast was already cooked with dhal so it made stock to mix with the dhal. If I was cooking a roast on its own, the bones would be kept and used to make a stock with vegetable scraps such as carrot peel, celery leaves and onion ends. We don’t peel fruit and vegetables, instead, we wash them and eat them with the skin on. When I make pumpkin soup, I do peel the pumpkin and the potatoes, however, the seeds from the pumpkin are cooked in the oven or frying pan separately as a snack. Potato skins, if the potatoes were scrubbed clean, can be fried for chips. If making a honey and lemon drink because I have a sore throat, the lemons are placed in a bottle of water after squeezing the juice out to make lemon flavoured water. The rind can be grated and used in other recipes too. If you have one sausage leftover from a BBQ, slice it up to use on a pizza, in a risotto or stew. Don’t just throw food away. Check out the 20 recipes for leftover sausage here. Given that the average Australian throws away one in every 5 bags of groceries, we need to take a long hard look at ourselves, how we shop and cook. So much of what we throw away can be made into something else. Use cloths instead of paper towels, containers instead of plastic wrap and plastic bags, use generic bleach when needed and microfiber cloths to clean. These few steps reduce a lot of the spending on cleaning products and are environmentally friendly. Instead of buying garbage bags we recycle everything we can, significantly reduce waste and when we need a garbage bag we reuse a plastic bag from the markets. It isn’t ideal, I’d prefer we weren’t using plastic bags at all. It is free though and since we live in a small unit, all garbage must be put in a bag and sent down a chute. I don’t use window spray, glass cleaner, surface cleaners or any of those products. I use microfibre cloths to clean, bleach in the toilet and shower plus a little dishwashing liquid for surfaces in the kitchen when needed. We buy both bleach and dishwashing liquid either on sale or the generic brand. Washing power is bought in bulk and stored in the laundry cupboard. I don’t use fabric softener or starch when ironing. Simply put, we don’t spend much on cleaning because you don’t need to. Most people I know hate eating the same thing over and over. Rather than reheating the leftovers, turn them into something new. Leftover roasts can be used in pasta bakes, on pizza or in soup. Leftover soup can become risotto. Bolognese and similar can become a pie. Think outside the box about what you can turn your leftovers into. We walk to the markets with backpacks, come home and unload then cross the road to the supermarket for the rest. With my kids being involved they see what needs to be done, practice writing and spelling with the shopping list, they learn to check prices and they help cook. We all have an input on what we buy and eat. Our daughters make their own breakfasts and lunches plus occasionally help cook dinner. By seeing the amount of work that goes into buying, preparing and cooking the food they appreciate it more and we have fewer complaints about the food. Living right in the CBD I don’t do this anymore. Growing up we foraged for berries at the back of our school, swapped some of our apricots and nectarines with our neighbours for their plums and bartered other food made or grown by us with those in our community. I’ve seen loads of foods growing in public areas that can be foraged, plus I know of people who don’t pick the fruit from their own trees. Stop and ask them if you can pick it, offer to bake them a pie or pick the fruit to share with both of you. I don’t know anyone who has been turned down when they have been brave enough to ask. Learn about native foods in your area that are edible and start incorporating them into your diet. All food has ideal storage conditions. Set your fridge to accommodate this and store your food accordingly. There is a good guide here. For the most part, I cut up the bulk of our vegetables and store them in a Tupperware container. The rest is stored whole in the fridge drawers, one for fruit the other for vegetables. Items like tomatoes and potatoes are not stored in the fridge. Storing food correctly makes it last longer and reduces the chances of wastage. If food starts to go off before you can use it, work out how to store it for later use. For example, if bananas are going brown and no one wants to eat them. Peel them, place them in a container or bag and freeze them to use in banana bread. While not ideal, most supermarkets have reward programs. Depending on what you buy you may or may not accrue points. You can’t accrue any points if you don’t have them though. Sign up to the programs and swipe the cards when you shop. Do not base your shop around how to collect points or you will overspend. An added bonus of reward programs is the coupons and special offers you get. If they line up with what you regularly buy, use them. If not, do not spend money for the sake of getting a discount. Check out our list of Australian reward/loyalty programs. I don’t drink coffee, juice, cordial, fizzy drink or alcohol anymore. I have water and that’s it. On Friday nights the kids get fizzy drink (less than $1 from Aldi!) If you want wine, Aldi has award-winning ones for super cheap. I haven’t tried them so can’t say if they are any good but my friends said they are. Herbal tea, coffee and other drinks can be purchased on sale, try different brands and look at buying in bulk. We have electric toothbrushes and I use a men’s razor in the shower. I haven’t bought blades in over 6 months. I use cheap conditioner for shaving cream, make my own body scrub out of oil and sugar and we buy our shampoo and conditioner on sale. Mouthwash and floss are bought on sale, our toothpaste is Sensodyne so when it goes on sale we get a couple. Our deodorant is one of the few things we are particular about which brand and scent we each use. It comes on sale for 50% off at times, so we buy it then. Tissues could be replaced with handkerchiefs but we prefer tissues. We buy them on sale or in bulk, whichever works out cheapest. What I do has changed over time depending on our lifestyle, eating habits, where we lived and what worked out to be the best option financially. Experiment with different dishes, different brands and shops to find the best method for you. 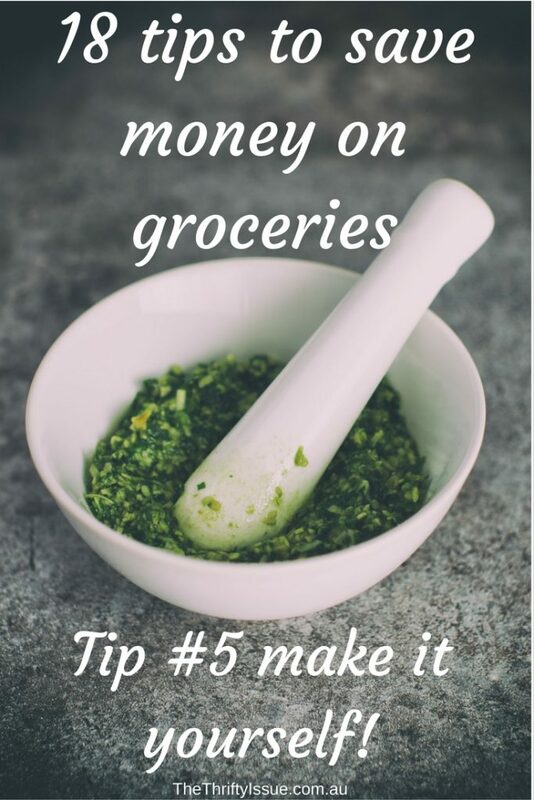 What do you do to save money on groceries? How much do you spend with your family? Great tips. We do most of those. Learned them the hard way. Especially lately when dh has been out of work for 18 months. It often is a learning curve and through personal experience that people find out these tips. Hope your husband has work now. Yeah, Australia is expensive. Right at this moment I’m visiting my boyfriend, and let me tell you, prices are steep. We just came from the Emergency. 266 Australian dollars just to say hello… So thank you for the tips, they are really useful! It’s crazy isn’t it? You don’t want to get sick if you aren’t Australian! Hope all is ok. There are SO many good tips here! This is a great list, and it’ll come in handy as I’m trying to save money too! Thanks Jasmine! Glad you liked them. How did you get free hello fresh every week??? The refer a friend promotion they have. Every friend you refer gets $50 off and you get $50 credit.